Understanding CBD — CFH, Ltd. Your CBD is either from flower or it's not! CBD (Cannabidiol) is a non-psychoactive phytocannabinoid, and has some of the most powerful health benefits of the plant. Take a look at our SCIENCE tabs to learn more about recent studies. CBD oil comes from hemp flowers; more specifically, the trichomes of the flower. Negligible amounts are found in stems, leaves & seeds. Oil derived from hemp seeds that we find as "hemp oil" in the grocery stores has high nutritional value but does not naturally contain CBD. The trichomes of the flower contain the Cannabinoids, Terpenes & Flavonoids that yield a Full Spectrum Hemp Flower Oil and the interactive synergy between Cannabinoids & Terpenes is what is referred to as "The Entourage Effect". The Cannabis plant does not directly make CBD or THC. The plant synthesizes cannabinoid acids; such as CBGA, CBDA & CBCA or THCA & THCVA (among others), which must first be activated through the process of decarboxilation to yield the CBD compound. LEARN MORE ABOUT THE EXTRACTION PROCESS HERE. Phytocannabinoids, Terpenes & "The Entourage Effect"
Hand harvesting the trichomes of our hemp flowers from our Colorado Farm delivers an un-adulterated purity of the naturally occurring cannabinoid & terpene profile. 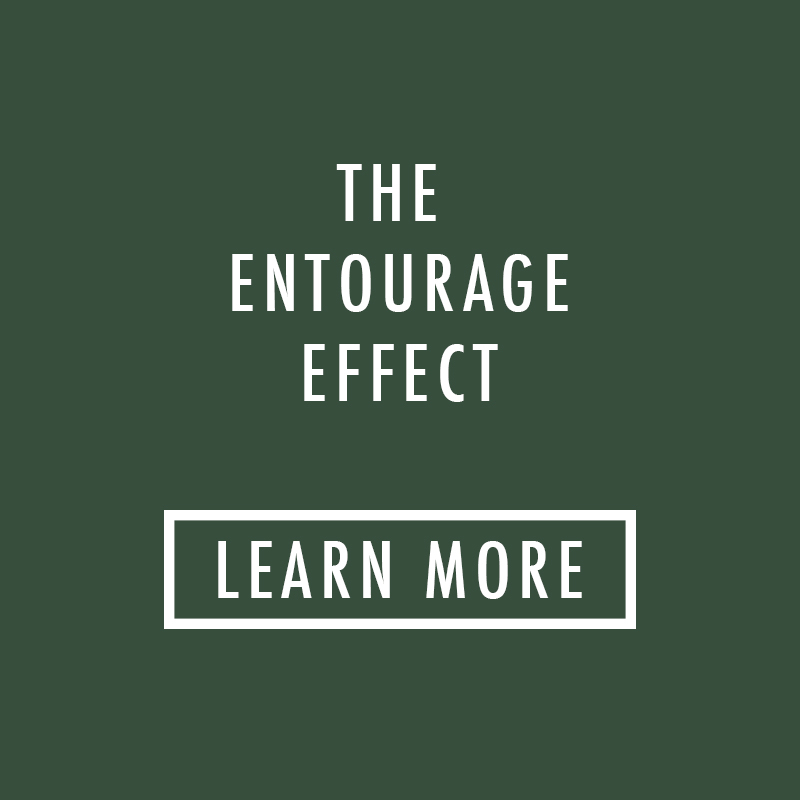 It is this full cannabinoid & terpene profile present in CFH products that leads to “The Entourage Effect” that we all hear so much about. Quite simply, this full cannabinoid & terpene profile generates more efficacious results than an isolated cannabinoid.